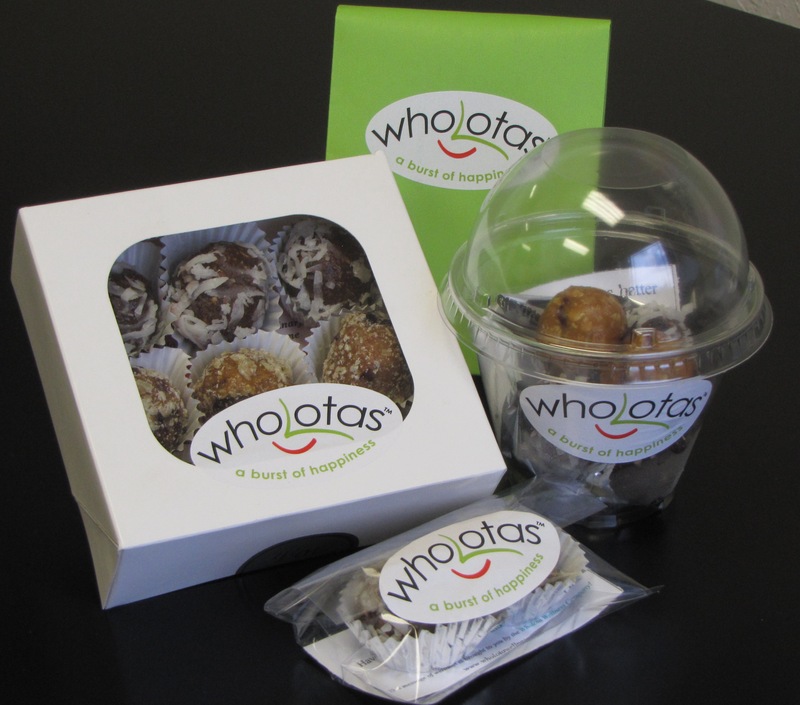 Wholotas are designed to reduce your intake of preservatives, quench your cravings and to replace highly processed meal replacement/candy bars! This tasty treat is just the right size to give you and your family energy and satisfaction. Prices may change based on packaging. Please call 1-888-Wholota (946-5682) or email us at info@wholotawellness.com to place your order today! Have your WHOLOTAS shipped to you anywhere in the US! Each package of Wholotas contains a special wellness message and can be tailored for your event or gift! Wholotas are designed to reduce your intake of preservatives, quench your cravings and to replace highly processed meal replacement and candy bars! This tasty treat is just the right size to give you and your family energy and satisfaction. Ingredients: Peanuts, Oats, Cranberries, Honey, Coconut Oil, Sea Salt. *Chocolate Wholotas contain 100% cocoa and decorative Wholotas are coated in coconut or crushed walnuts. Shelf Life: Refrigeration recommended but not necessary. Shelf life 1 month if sealed, refrigerate up to 3 months and freeze up to 1 year. This product is created with NON-GMO ingredients. Labels also include a surprise wellness message for each person who enjoys this tasty treat!